Casa Satis is a beautifully furnished, three bedroom, two bathroom villa with a private pool in a private and secluded garden. Located in the residential area of Los Mojones in old Town Puerto del Carmen. Casa Satis is a quality villa located in a very quiet road in Los Mojones. The spacious villa has private gated entry with sliding gates to the drive. The large private pool is surrounded by sunbathing areas and edged by garden borders full of colourful tropical shrubs. Terraces give shade for al fresco dining with a barbecue and lots of space for sunbathing. Pool table for your entertainment in a covered area. The large entrance hall leads through to the lounge which is very spacious with quality furniture and soft furnishings. Patio doors lead out to the covered terrace. Off the lounge is an elegant dining room. The modern kitchen has dishwasher, microwave, oven and hob and leads through to an external drying area and utility with washing machine. There is a master suite – bedroom with king size bed, en suite bathroom and dressing area. There is another room with a king size bed and a further bedroom with twin beds. These two rooms share a family shower room. This villa really has a quality feel from the comfortable stylish lounge to the large ornaments and statues in the hallways. The villa also has the modern requirements of satellite TV and free wi fi. Villa will be clean for your arrival and the beds will be made up. Stays of 11 – 14 nights – the villa will have a full clean & fresh bed linen. Staying for 10 nights or less and want extra cleaning and bed linen. Contact us for a quote. Bath, hand & tea towels will be changed every 3 or 4 days for all stays..
One pool towel per paying guest is provided for the duration of your stay. A food pack is provided including tea, coffee, sugar, milk, water, juice & biscuits to tide you over until you get to the supermarket. 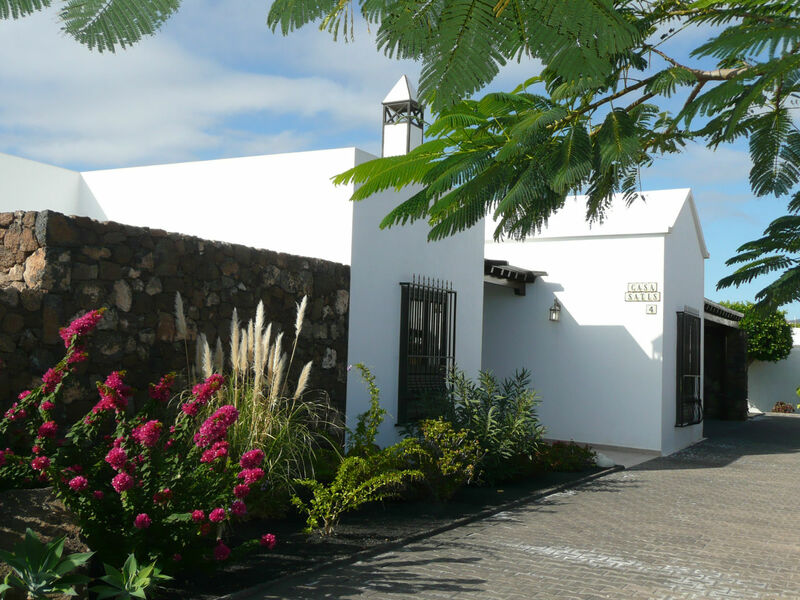 Lanzarote Leisure Villas is a family run business that we formed in 2004. We had previously been working in the Lanzarote villa rental market for 20 years prior to this so we have a wealth of experience. We rent the villas on behalf of our owners many of whom have been with us for 14 years. We offer a personal service and are happy to discuss by phone or email the villas we have to offer and help you choose what suits your group. If you prefer you can visit our website where you can view our villas and use our online booking and payment system. Get in touch with Sue & Andrea, we are here to help. You can see the availability calendar here. Prices start at £1200 for a week for four sharing. Odd duration rates available on request. Enquire for your dates and numbers now by clicking below.